The star posted about him on social media. Ariana Grande has finally paid tribute to her ex-boyfriend Mac Miller following his death before the weekend. It comes after she was forced to disable comments on social media when a number of his fans brutally and unfairly blamed her for his passing. 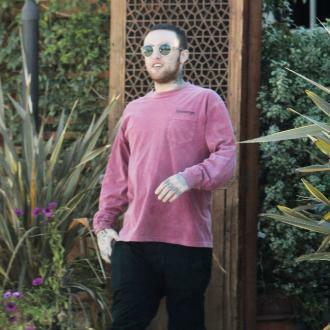 On Friday (September 7th), the 26-year-old rapper was found unresponsive by a friend at his Studio City home, whereupon it was claimed that 911 responded to a patient in cardiac arrest, and then Miller was sadly pronounced dead on their arrival. It is thought that he had had a drug overdose. Grande posted a black and white shot of Miller on her Instagram yesterday, without a caption and with the comments disabled, which was the first time she publicly acknowledged his death. 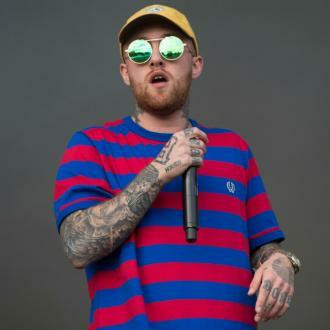 Miller has been struggling with addiction for a long time, with him previously admitting to becoming dependent on a substance known as 'purple drank' or 'lean', which is a combination of promethazine and codeine. He had been dating Ariane Grande from August 2016 to May this year, her breaking things off apparently due to his inability to accept help for his drug problem. Soon after their split was announced, he was arrested for DUI and a hit and run. Even then fans were blaming Grande, suggesting that she should have stayed with him because it was clear from his fourth album 'The Divine Feminine' how important she was to him. Thus, she hit back with a statement about the real reason she had to end it. 'How absurd that you minimize female self-respect and self-worth by saying someone should stay in a toxic relationship because he wrote an album about them', she said at the time. 'I am not a babysitter or a mother and no woman should feel that they need to be." Now, of course, she's being attacked not only for her decision to finish with him earlier this year, but because she began dating 'SNL' star Pete Davidson just weeks after and became engaged the following month. The vitriolic accusations she's received have essentially extended to suggesting that she should have tried harder - although being in a relationship with an addict for almost two years is plenty of time to dedicate to helping someone. Fans have to remember that she is her own person, with her whole life ahead of her, a flourishing career and her own problems - expecting her to suffer because of another person's illness and inability to help himself is not something anyone can ask of her.